Solving the riddle about the test I wrote yesterday. From now on, when a player unlocks golden grounds, the golden Scepter of Time card is added to the player’s deck! To all 347 players who unlocked golden grounds already: Golden Scepter of Time has been added to your deck as a belated reward! This entry was posted in Feature on January 31, 2015 by Andy. I didnt like this. I dont have IT in gold yet. I make the best of what i got. Didn’t the card show up when you synced the game? 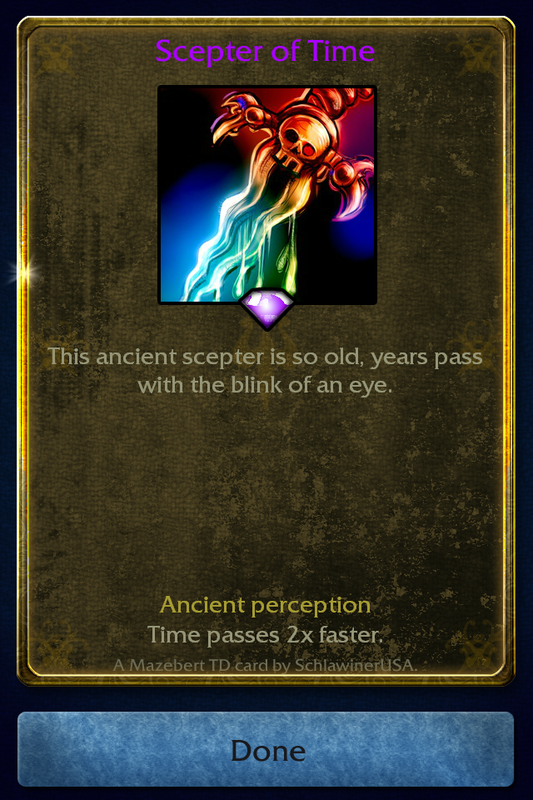 I decided to add Scepter of Time as a reward, mainly because it doesn’t change the way you play golden grounds or give you any advantage. It seemed to be the case that some players simply didn’t play golden grounds because of lacking speed-up option. That’s why I made the change now.